100% U.S. Beef. No one does a classic burger like we do. Our signature burger. A classic side. Spicy Papa Sauce for dippin'. Two juicy 100% U.S. Beef patties with two slices of melted American cheese. 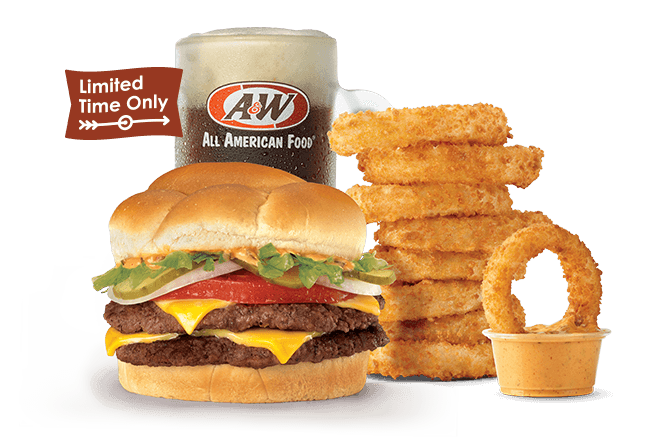 Finished off with lettuce, tomato, onion, pickles and our classic A&W Papa Sauce all on a lightly toasted bun… it doesn’t get better than this. Served here first in 1963. This is everything a Bacon Cheeseburger should be. We know, because we invented it. 100% U.S. Beef and hickory-smoked bacon—one of the world’s great duos. 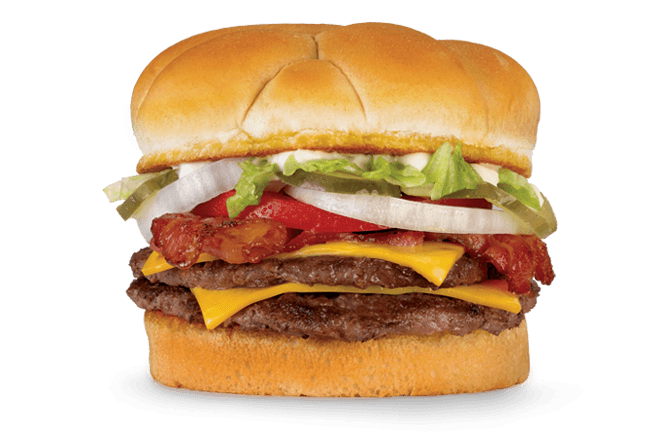 Add American cheese, lettuce, tomato, onions and pickles and you have an All-American Classic. This is a full 1/3 pound of 100% U.S. 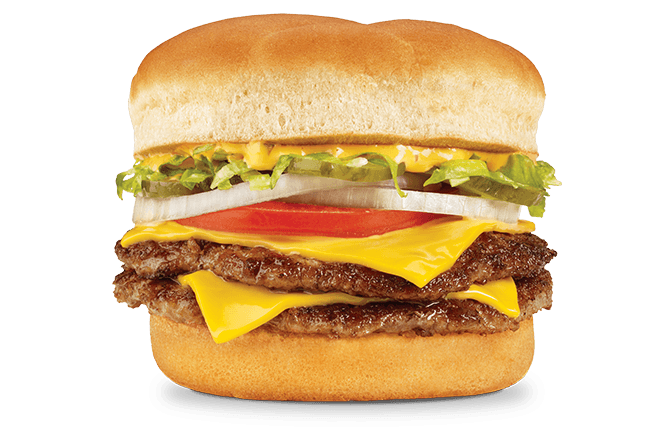 Beef, each juicy patty with its own slice of American cheese. 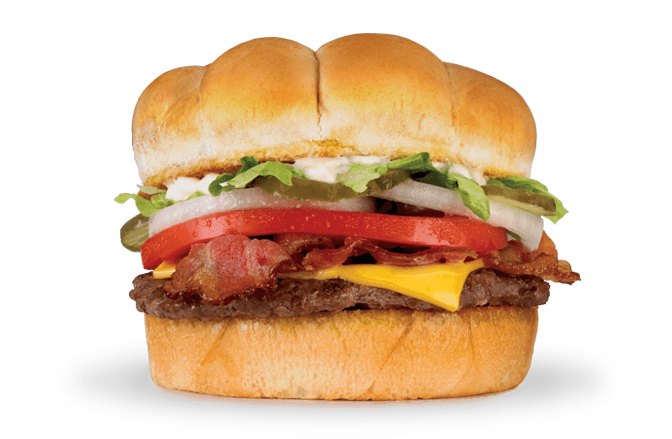 Topped off with crispy hickory-smoked bacon, lettuce, tomato, onions and pickles on a lightly toasted bun. A sizzling 100% U.S. 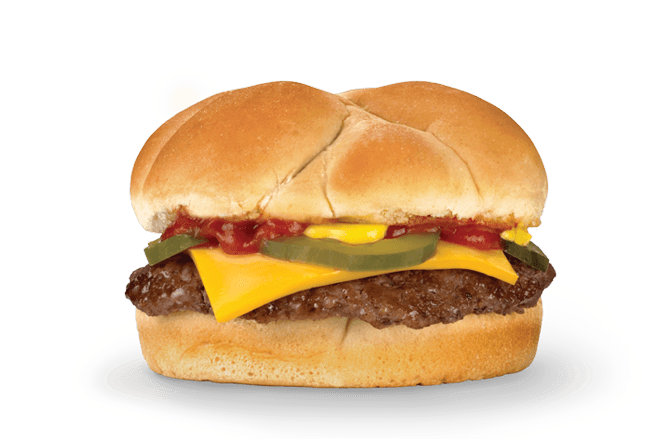 Beef patty and melty American cheese topped with lettuce, tomato, onions and pickles all on a lightly toasted bun. Keep it simple & delicious. A 100% U.S. 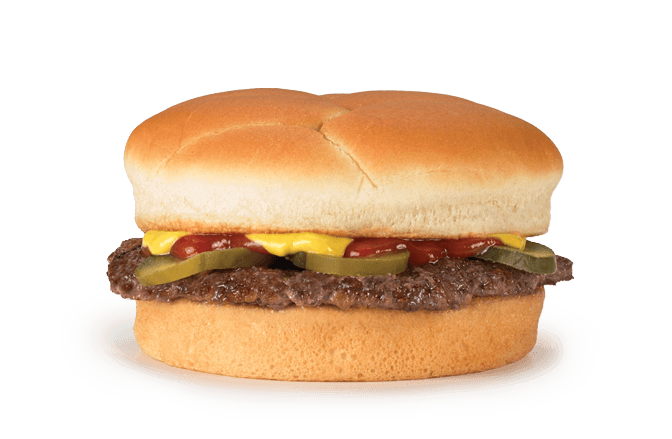 Beef patty dressed up with ketchup, mustard and pickles on a lightly toasted bun.